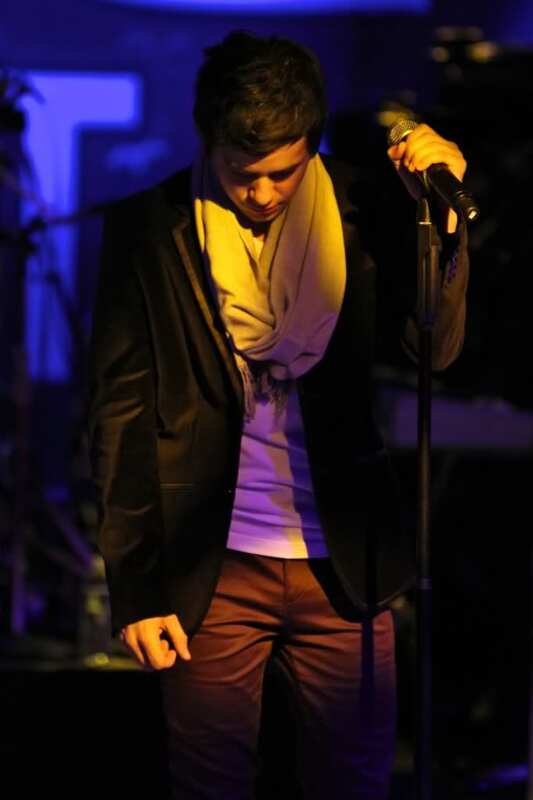 The six month mark of David Archuleta’s departure has just passed and we have eighteen months to go. I’m measuring time by holidays and it seems to be working. Labor Day was just last month, Halloween is almost here and Thanksgiving soon after. Christmas is going to be tough this year without David but I’m so looking forward to it because it’s also close to the beginning of the twelve month countdown. There are days I miss David so much it hurts and although it was a tough road getting to this place, I’m ok with him being gone now; I truly believe he had to go. In the meantime I have his music to get me through every day and his voice on interviews on my ipod to get me through the night. You may have seen my name, djafan, on comments on articles relating to David found on the web. You may also have seen me voting on polls and mentioning David’s name as much as possible, tweeting and trending, etc. You get it. LOL This is what I do. We all have a comfort zone on how we support David and this is my way of keeping his name relevant. By letting the world know he has passionate fans that are not going anywhere, the media stays interested in him. It works; it really does. For example, recently Cook and Kris Allen were dropped from their labels just months apart and it was barely a blip in the social media. David, however, made mainstream media with the so-called “dropped” news that he was let go from his label when it was really the opposite. David chose not to renew his contract. As soon as his passionate fans started correcting the news the media then picked it up too, and many made an attempt to correct it. The mission news made headlines also; not only on the internet but television also carried the news, showing clips of the video. I attribute this continued interest by the media to David’s go-getter fans. 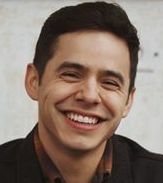 Most reality show alums have just fallen off the radar, but David Archuleta has not and our intention is to keep his name relevant and out there. With this in mind and after much prodding from my fellow Adms, I encourage you to vote, to comment, to view David’s videos, to like his Facebook posts, to comment on his OS, heck even his MySpace page has been updated and it‘s beautiful. I like to follow some charts on David’s social media status, yes the information is out there, you just need to look for it. Here is a two month comparison. You can see that there have been some drops that can easily be reversed. It’s really simple to get and keep these numbers up. Watching his videos on Vevo and on his official you tube channel are all you have to do to raise the numbers. Typing David’s name into any search field and in any comment counts as a mention. Why worry about mentions? With every mention, his name is being counted on the internet, which raises his social status. These are examples of things to do to increase David’s social status or popularity. Wikipedia — Counted when a visitor loads an artist’s page. 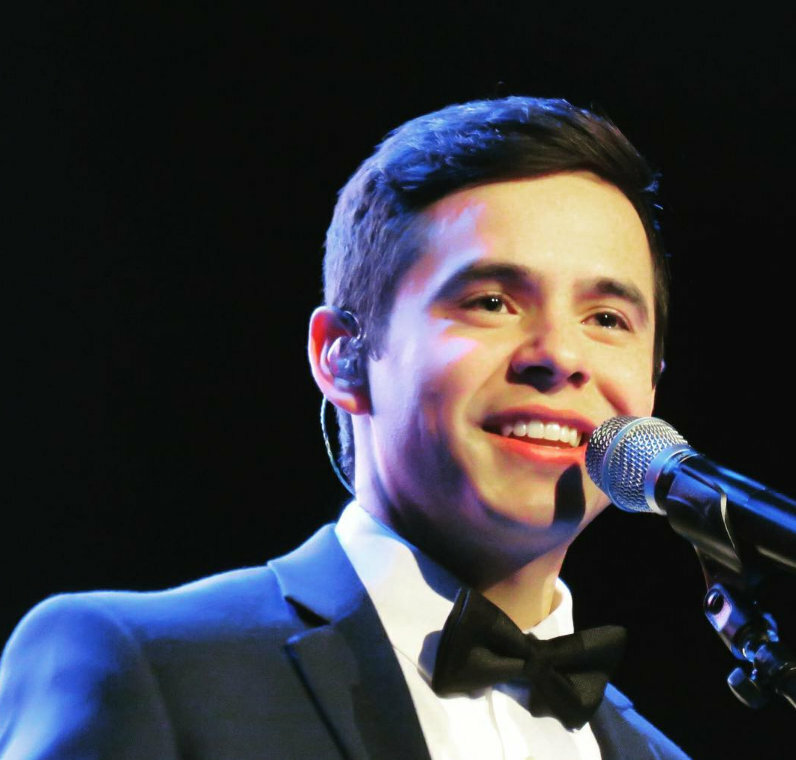 Google – Google David Archuleta daily. Twitter Mentions — Counted each time an artist’s Twitter handle (@davidarchie) is mentioned by another Twitter user. Comment – Comment whenever David’s name appears in an article. It doesn’t need to be anything fancy. 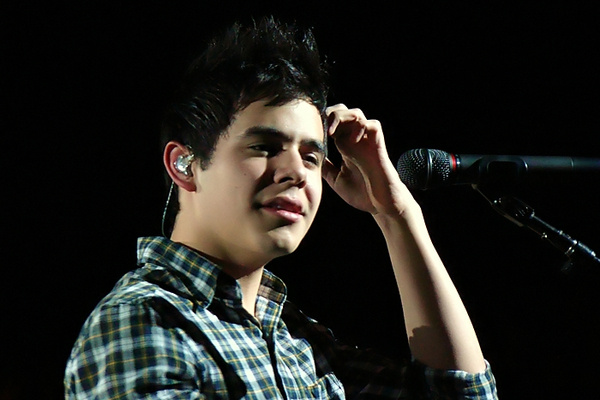 Just writing David Archuleta will suffice in getting the internet bots* to count him. Here are some David related links you can visit to increase his status. You can use these to listen, view and/or comment. Lastly, please don’t stop sending David mail. I read on several missionary blogs that it’s common for the mail to slow way down after the sixth month. They say family and friends start to get used to them being gone and not part of their daily routine. David doesn’t just have family and friends but a whole lot of fans he wants to hear from. Why else set up an address for us? I hope you all can join me in my campaign to keep David’s name relevant during his absence. 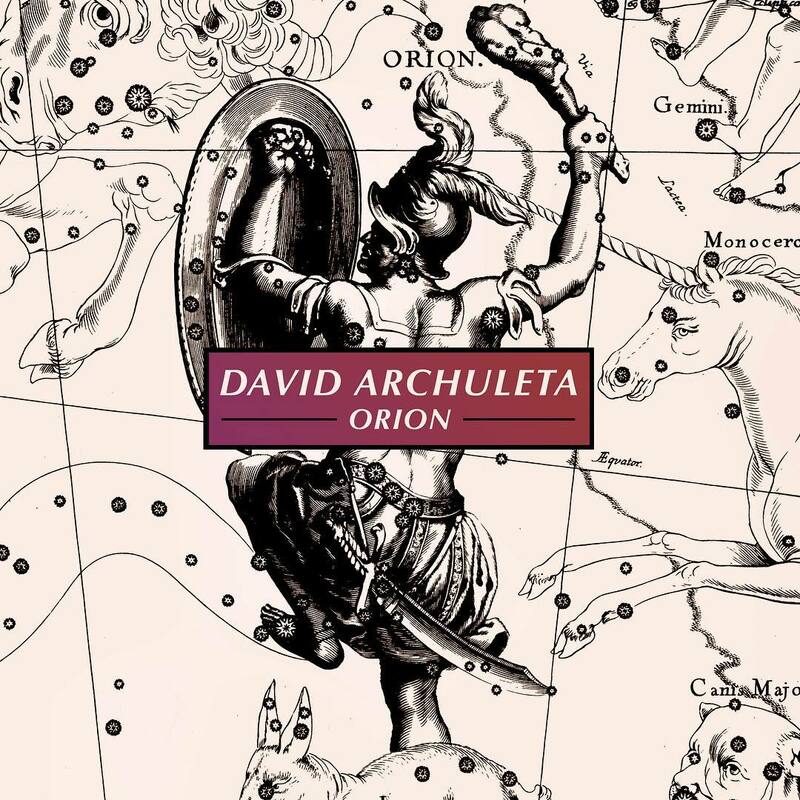 This entry was posted on Wednesday, October 3, 2012 at 11:56 PM	and is filed under Appreciation, Archies, Begin., career longevity, David Archuleta, Mission, The Voice. 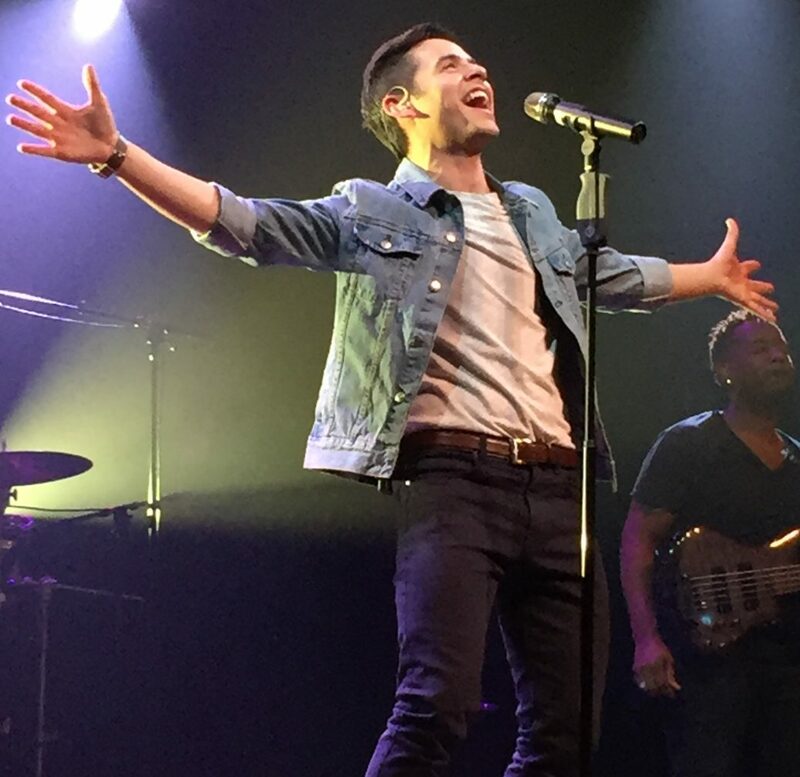 Tagged: 6 months, Archuleta, Begin., David Achuleta, Gotta love him, mentions, missing him, relevant, social media, Standing by him, the Voice, We'll Be Here. You can follow any responses to this entry through the RSS 2.0 feed. You can leave a response, or trackback from your own site. Thanks Djafan! I would have not known that just by googling his name or doing an internet search on his name can make a difference in raising his social media status. I’m glad to say that unknowingly (LOL! 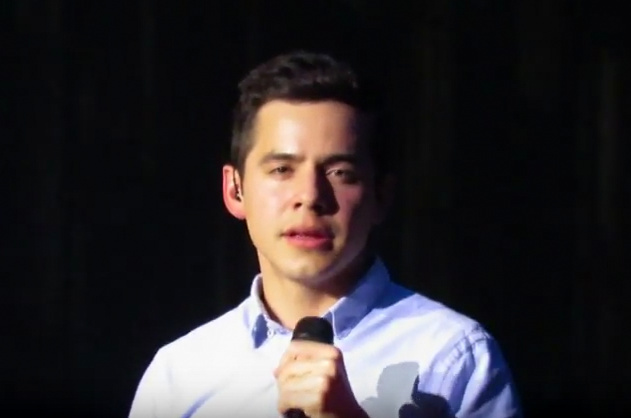 ), I’ve helped somehow because, it’s been a ritual of mine every night to go to the internet or Youtube to search for anything David Archuleta. Although I have to admit that I have failed to write him follow-up letters (bad girl mspoohbear!). With your message Djafan, I promise that I will start sending him postcards, if not letters just to say hi and let him know how much he is missed and that I will always be here waiting for his return. I’m also confident and pretty sure that David’s family will never neglect to write him a letter. They are one tight-knit family. So, when I get home tonight, I will start watching anything David on YouTube and will google his name gazillion times before I go to bed. I just hope I don’t start counting David social media status charts in my sleep! Goodnight everyone! dja~ thank you for writing this very informative post. Like mspoohbear, I didn’t realize I was helping to keep David’s name out there. I will do my duty as an Archufan to keep typing his name. I must admit I haven’t sent David any mail. It’s not because I don’t want to. I know people have said to send post cards because it is easier for him to read. Well, I haven’t found any post cards for sale! But tomorrow I am going to buy him a Halloween card. Heck, let’s all buy him Halloween cards! Anyway, thank you for all you do for us, his fans. I so appreciate it!! ((((dja)))) it makes me smile every time I see your screen name out there in cyberspace promoting David… I especially appreciate the efforts you make on Twitter communicating with Latino/Latina fans in Spanish. It makes me sad sometimes that despite all of our collective “cheerleading” we weren’t able to make TOSOD a hit for David (in North America, anyway), that really shocked me tbh. I know we all support David in our own ways, but thanks for some great ideas! Some really good ideas. It’s interesting to me that his Vevo numbers went up. I wonder what we can attribute that to. This is a great idea! David said he liked Halloween and liked dressing up as Dracula. The release of BEGIN. maybe has many viewing David’s Vevo videos, I’m not sure. 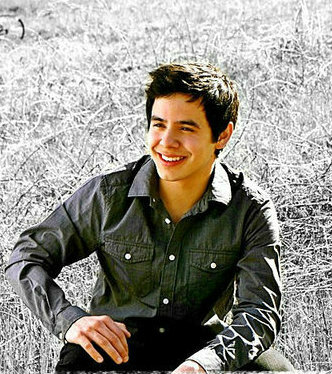 I still don’t get all the tweets of “what ever happened to David Archuleta” or the embarrassment some have to say they are fans or at least like his music. Though I am seeing less of it. Thank you for this fantastic article. Thanks for all of your suggestions. 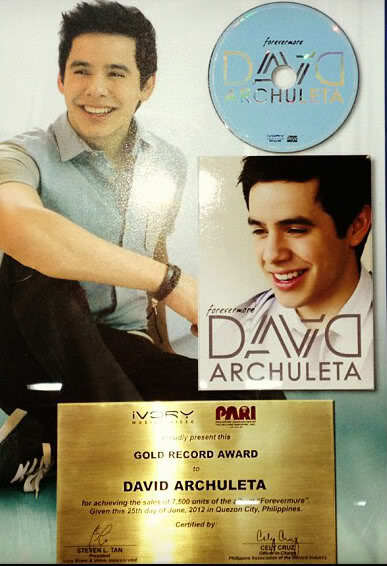 David Archuleta will always be front and center. He is such a wonderful singer and such a special person. His fans are always here for him. I know I am never going anywhere. Love this young man. Thank you for all these helpful info DJA and thank you for everything you do for David. We, as fans should really take extra effort to keep his name out there as he himself can’t do it now. David is very lucky for having dedicated and hardworking fans like the moderators and writers of his fansites; like the fans tweeting & re tweeting his name; like the fans playing & replaying his music videos to increase the views; like the fans trying very hard to WWTT his name and music; and other things we do , all for the love of David! But I’ll say we as fans of David are luckier for having known him, his voice, and his person. Will be here for DA2014 but for the meantime will do my best to make and keep him relevant. 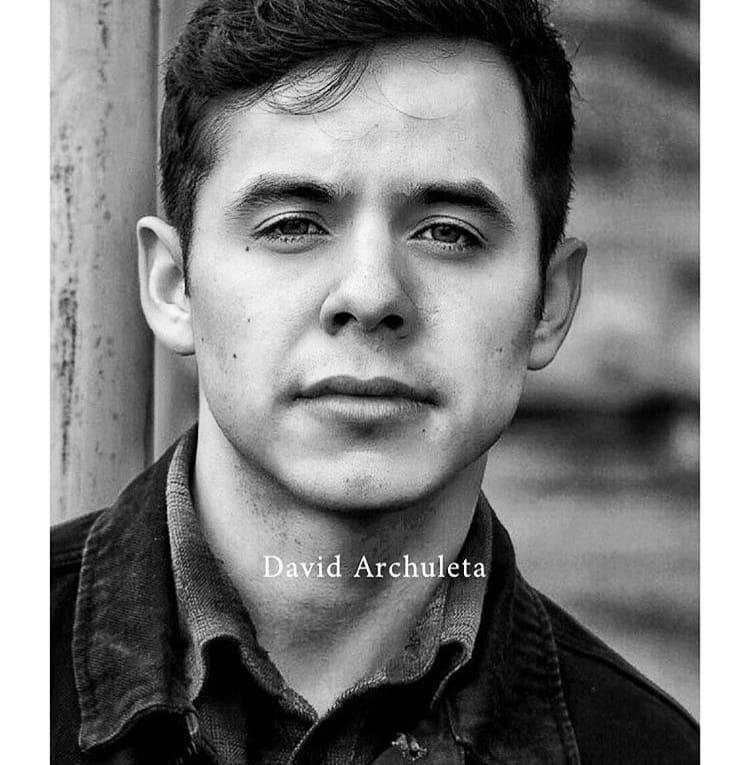 Thanks so much for writing an article about how we can keep David Archuleta relevant. I didn’t know these things helped. 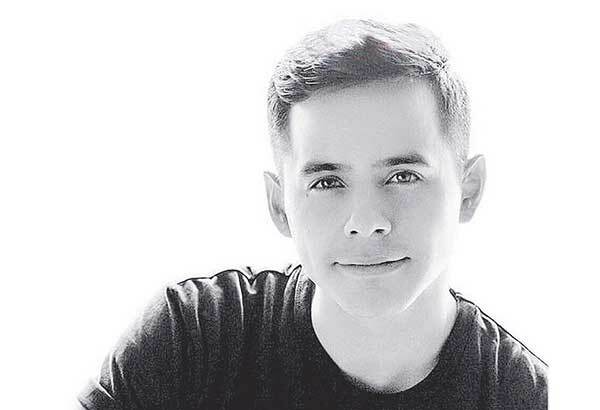 I haven’t really been usint twitter, but I can certianly make an effort to get back on twitter and use his @davidarchie name in my tweets if it will help. We should also make sure we use his twitter name in anything we try to WWTT. Question? 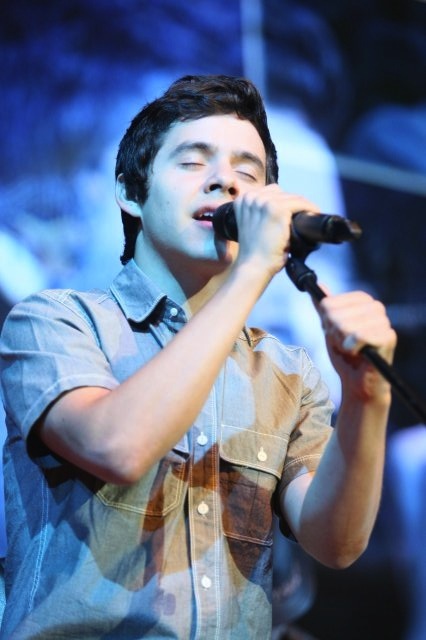 When we write ” David Archuleta ” in comments here and other sites, does that count too? Because I tend to write just “David”. But if it counts, I can certainly write David Archuleta instead. Beautifully said Lani. I feel so blessed. MT, there is no such thing as a bad fan. We all do what we can and are comfortable with. One of the reasons the adms kept telling me to write this was that some may not be aware on how this all works and the the impact it has on David’s visibility on the net. Writing David Archuleta in any place is counted. When you set up google alerts those spider bots scour the net to pick up his name. And anytime you tweet you should include @davidarchie, especially when trying to trend. As of now this is the only place to vote for David. You can vote every hour. He has three songs on this, I’ll Never Go, Broken and Everybody Hurts. Vote away! What a great gathering of information! Thank you for giving us a push, dja. I often see traces of you and HeidiJoy when wandering the internet. Dja — this is all so illuminating! Who knew? Obviously, you. Thanks for sharing all this information with us — I’ll try to do my part to keep the name of this very deserving young man out there. I’m so looking forward to 2014 and, God willing, to attending a David tour performance. You did it, djafan, the article I’ve been waiting for, (nagging you about haha); the one that’s chock full of information on how to keep David’s name out there! It had to be written so that others can follow your lead. There are fans out there who want to promote David but have no idea what to do. You gave us ample information and websites to use to complete the task. A great big THANK YOU! Hey, I voted!! And I bookmarked the page so it makes it easy to vote again anytime I want. You guys kept telling me, glad you guys pushed me to share. Thanks for a very informative article, DJA! I knew about typing his name helped, but not to this extent. I vote when I can, but I do slack some once in awhile, but won’t anymore! Djafan, great article and I will try to do my part. 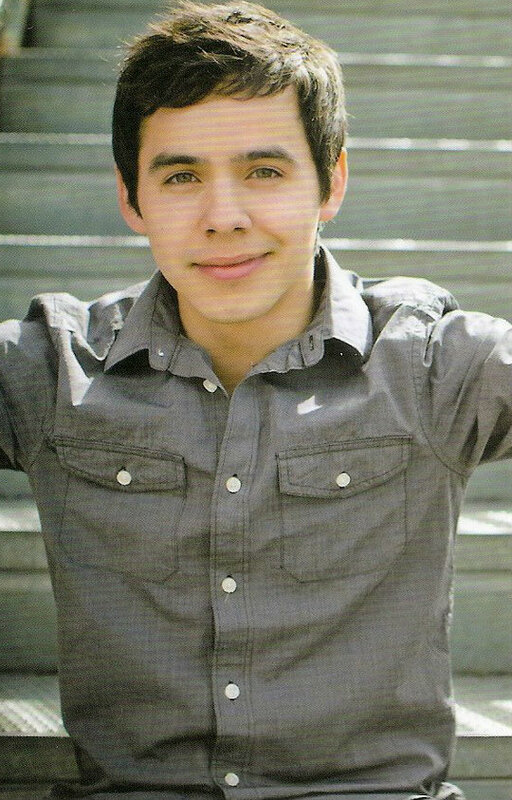 Fans can only do so much, it really is up to the Archuleta team/Kari to keep things going in his absence and keep his name relevant, Feeding the fans is what will help keep things going until he returns, imo. So far they are doing a pretty good job, hope it continues in 2013. Wish i could put up a cake too! Happy Birthday ! Hope you have had a wonderful day — best wishes for the year ahead. Sorry to be late with my wishes but I was celebrating my daughter’s birthday shared with you. Djafan, your post is a great one to help us keep David relevant. It’s clearly evident you put a lot of work into this—gracias! It’s a beautiful example of how much you love David. I almost feel guilty for not being on twittter; may yet become brave enough one day. One thing I’ve begun to do lately is to remember to click onto the “Everybody Hurts” video and have it playing, while I visit the fansites…..a small way to help increase the # of views. Thanks, I appreciate all your greetings and yes, today I had a good birthday. But I did not have good News of Rancagua, but I never lose optimism, miracles happen all the time. Four years ago I live above a cloud, witnessing a miracle every day, called David. Gladys, What did you hear from Rancagua? CHARLESTON, W.Va. — After the finale of “American Idol” each season, we often don’t see many of the contestants again. 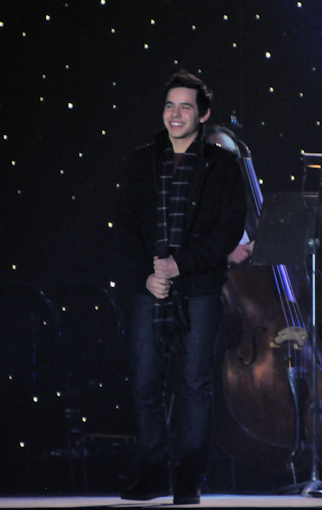 David Archuleta, the season seven runner-up, was one we did see again, though. His song “Crush,” from his self-titled debut album, was a huge hit. After that, however, he wasn’t in the public eye as much. For many, he was a one-hit wonder. Most of the songs are covers, but they’re beautiful arrangements. Depending on how you’re feeling, they might even make you cry. The songs sound so genuine that they make this album a work of art. One that is especially good is “Don’t Give Up,” featuring singer/songwriter Libbie Linton. It is so inspirational and incredible. The song, originally by Peter Gabriel and Kate Bush, is so lovely that I played it on repeat for hours. It never gets old, and it gives me a little bit of hope to deal with life’s curveballs. His cover of “Somewhere Only We Know” was hard for me to like at first because it is different from both the original and the version that Lifehouse did. After hearing it a few times, though, it became one of my favorite arrangements of the song. 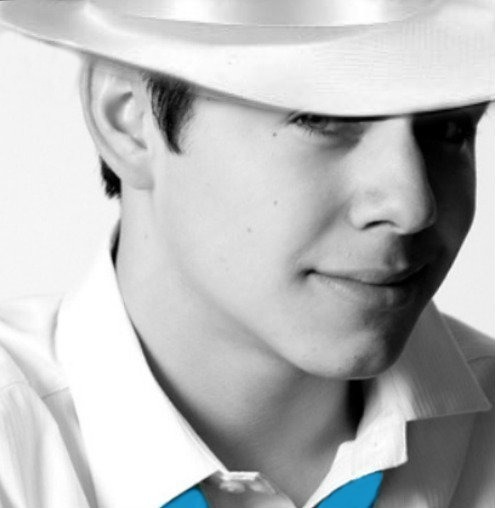 It’s unique and really shows off Archuleta’s vocal abilities. His cover of Simon & Garfunkel’s “Bridge Over Troubled Water” has beautiful music to go along with the delightful lyrics. I haven’t heard the original version, so I can’t compare it, but Archuleta’s version is a great song for any mood you may be in. My least favorite song on the album is his cover of U2’s “Pride (In the Name of Love).” There’s nothing really wrong with it; I just don’t think it suits him, and I don’t care for his arrangement of it. 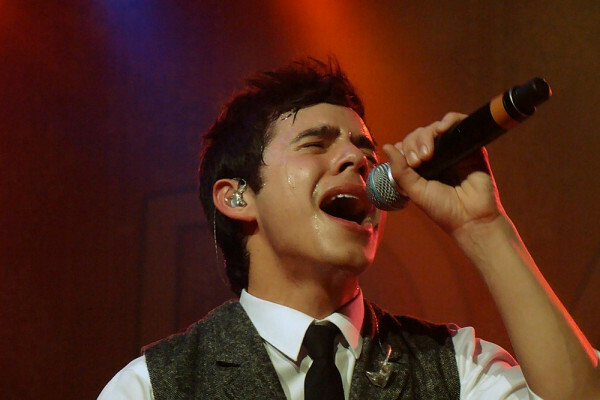 “Broken” is the one original song on the album, co-written by Archuleta and Jon Hunt. It is a beautiful song with enchanting lyrics and an incredible vocal range. 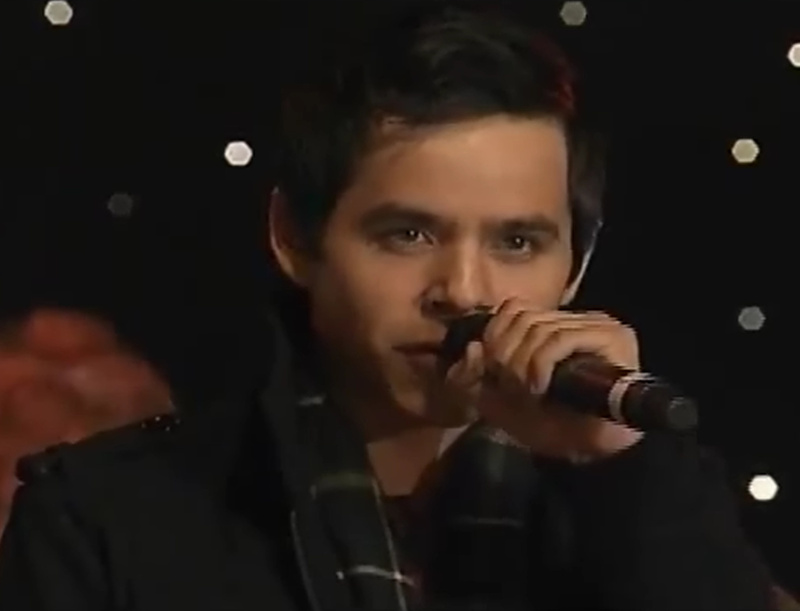 It really shows how far Archuleta has come the past few years. No matter what age you are, this album may just give you some hope to help get you through hard times. 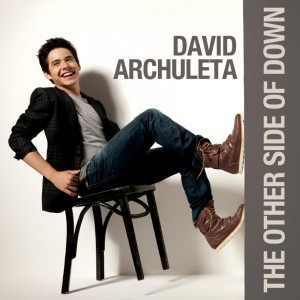 Archuleta has really done well selecting his songs because this album will tug on heartstrings around the world. I spoke with the president of the Church of Rancagua, and he said they are very strict about the age requirement, and place. In part I knew but had some hope, I still have. He told me he could not make a ecepcion me. It would be unfair to all the people who sent requests. Ok. I’ll put one foot before the other, and who knows? maybe some miracle happens. Sorry about your request being turned down but I guess rules is rules. Nice to know they are getting lots of requests though! Can your niece still go anyway? You can stay up with us in Unplugged and wait for any word from the event though, if no miracle happens. Rather late but still – happy birthday Gladys! Here’s to many more to come, all filled with the wonderful music of a beautiful young man we all love! Dja, thanks so much for posting all the links. Your article made me realize it IS possible, to really make a difference for David while he is away. I do comment when I am able, but only in a few places, so thanks for giving us a complete list to work on!.So appreciative of all you do to keep us informed,and the work you put into it♥love you to pieces! This is such a great article on how to keep David’s name out there while he is away and beyond. I really had no idea myself how many ways there are to support him online. I’m so impressed with your tireless efforts on his behalf and the sheer work it took to compile all this great information! All of us can do our part and it really does make a difference. Thank you so much! Thanks Djafan for the inside info. It tells us what is going on and right now, that is our only way of knowing! Let’s hope for interesting times ahead! Let’s celebrate the release day of TOSOD, shall we? With the history he has of visiting nursing homes I’m sure he’ll get a kick out of it. CQ, I agree. I think Team Archuleta has done a great job so far. My suggestions are what fans can do if it’s in their comfort zone. Many support with purchasing and gifting many many CD’s. We have a few here who do that. 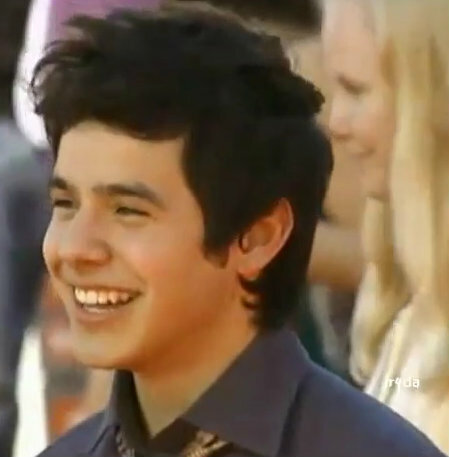 I’m sure looking forward for more Team Archuleta surprises. SB, I feel interesting things coming in my bones. And who could forget this epic vlog. 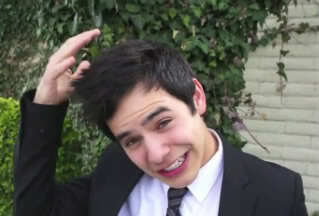 The”memory vlog” just reminded me of how cute David really is even when he is just talking. Btw, I can completely relate to his ADD factor in class. Will Broken be in this show? Who else thinks? I left Kari’s name off that tweet accidentally, but it was from her. I am turning into a rumormonger. 🙂 I see no one else thinking this. I probs read too much into it. Thanks for the videos! I sure do miss the vlogs. That 1st vlog, 2:03 is too cute for words. That smile he does!! haha He sure does seem excited … and distracted. I just love rambly David. 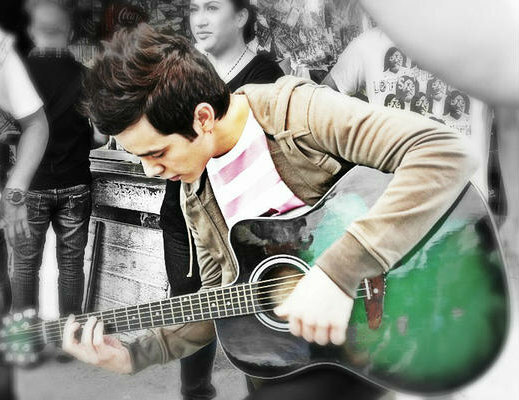 And did you notice, once the music starts, he couldn’t concentrate on anything else. LOL That’s our guy! It could just be her promoting his Album since the word begin was in her tweet, or there could be someting to it. Be sure to let us know if Kari answers! I asked to Betsy. Here is the picture she linked. Once Upon A Time is a TV show about fairytale characters trapped in a modern day town ( Stroybrooke, Maine)because of a curse. Last season’s finale was about the curse finally being broken. The picture Kari is posting is a screen cap from the beginning of the show. They show a man in an office and he pics up a note with the word “Broken” written on it. I think someone was trying to let him know that the curse was broken so he can come back to the town. She is making the connection to the word and David’s song title. That’s all I can make of it. Nothing really too mysterious to we who watch the show. None of the show has any of his music. It has all original scores. I guess she is messing with fans again. Unrelatedly, I love the top picture in this article. A lot. A real lot. Ok Abs….party pooper lol I wouldn’t call it messing though, I ‘d call it keeping it interesting. Dja! Such timely & useful info … never imagined that we could make a difference. You set such a high standard that it makes me want to do more. So if I were to search, view, comment from each different computer at home, will that help count as a separate enounter or just as one count? I’ve wondered because when I’ve voted before, it didn’t help change the numbers even if using several computers but maybe it’s different when searching or watching? So much to learn but I’m trying, lol! Thanks for the encouragement to send postcards … was thinking he might get tired of seeing my name. It’d be great to have as many different fans write so if anyone needs postcards, I have a bunch of them to share. Hmmm … maybe I should change up my name a bit like Blueberry Crush or Blueberry Eyes or Blueberry Pies so David won’t get bored, haha! Betsy; vid# 36 … Loved the whole Clovis show … still holding hope to hear him sing all the songs from TOSOD in person. Such a good album that deserved so much more. Happy 2nd Anniversary TOSOD! Gladys! Espero que tengas muchos cumpleaños más maravilloso! Isn’t that the best news we have ever heard? Good for Gladys — she received her miracle.!!!! Wake up everybody — time to celebrate !!!!!!!!!!!!!!!!!!! God has blessed Gladys !!! Congratulations, I’m so excited for you! You get to hear him sing POP songs!! Hemos recibido su reserva y usted y su sobrina son bienvenidos a asistir en calidad de nuestras misiones especiales. Los nombres de los incluidos en la lista de reserva y el espacio será reservado para usted hasta 18:45 No hay entradas o curules reservadas para llegar temprano (las puertas se abrirán a las 18:00) para conseguir un buen asiento. Hay preguntas que dicen que son las misiones especiales de las personas mayores y McKinley hermana. Por favor, preséntese a nosotros. Gladys is in Unplugged and she can hardly contain herself !!! I was praying for a miracle! See? They do happen! I used Google Translator to translate to English. We have received your booking and you and your niece are welcome to attend as our special missions. The names of those on the reservation list and the space will be reserved for you until 18:45 No tickets or reserved seats to arrive early (doors open at 18:00) to get a good seat. If there are questions say that you are special missions of the elderly and sister McKinley. Please introduce yourself to us. Has anyone noticed the difference between the top and bottom pics of David in this article? He’s equally beautiful in both but in the top pic he looks his age, 21. In the bottom pic, he could pass for 29. How does he do that? 56. Bleubird19, I love the spelling of your ‘name’ btw., and yes, his whole name,I need to watch that too. we have alot of B’s in this place don’t we? (wait..that didn’t sound right.) I mean many lovelies, whose names BEGIN.♥ with the letter B theres Bluebird, Bluesky,Blueberry Ice, Betsy,Bebereader.for example…. am I forgetting anyone? time for a few more video viewings before bed. :)) tgif! Wow! Gladys I’m so happy for you! I would call that a very good birthday present!♥ Miracles never cease. I would love to be a little mouse in your pocket! Can’t help but be a little envious of you! haha You lucky dog!!!! Tell David we all said hi! So happy for you Gladys! 🙂 WOOT! WOOT! We’re in The Voice Unplugged now with Gladys, who is over the moon with excitement! Join us! Woo Hoo, Gladys !!! you go girl …happy for you. Now go buy the new and the best camera in the market!! !if you don’t have one yet hehe, haha don’t forget to say HI to him for us…as for “hug” just safe it for after 2014 🙂 What a great “birthday” present you’ve got there!!! Bleu, Bleu Bleubird,! I love your name (spelling of) and then I spelled it wrong (Blue) in the next sentence I wrote. I am such a dork. so good Saturday morning to all. :)) So excited and happy for you Gladys and how excited we will all be, when you return to tell us all about it?!! eeek!! I KNOW! when I first laid eyes on the top pic, I was doing some comparing to the one in top left sidebar, and thinking the same thing, before I saw the bottom picture♥ How DOES he do that? I sure would like to know his secret! Congratulations Gladys!!! What a fabulous birthday present!!!!! You get to see and hear David sing again!!!!!!!!!!! OMG you are on lucky gal!!!!!!!!!! Make sure you get there early to get a front row seat. I am so excited for you!!!!!!!!!!!! So happy for your great news. I hope there is a big crowd for the event! I went to bed early last night and missed the excitement. Bebe texted me but I was asleep. Gladys! Just saw the great news! Congrats, and have a wonderful time! Djafan…wonderful article–helpful and informative! Thanks! Ahhh you crack me up lol. Wonder what David would think? This was my intention. Just letting the fans know some little things we can do. Gladys, aqui no hay coincidencias. Estoy tan emocionada, tu milagro se cumplio. Disfruta cada segundo. There are no coincidences. I’m so full of emotion, your miracle happened. Enjoy every second. Martha thank you for the tweet. I see she was at the previous temple event with David. She tweeted a picture of Elder Archuleta back then. I wonder if she’s going to the coming one. And dja, you are a rockstar at keeping D relevant. Will be back later for chat! Thanks for sharing that tweet. So good to hear of someone seeing him. But … what is a micro? Is that like a tram or subway or something? Or the bus line? Anyone know? MT – I was told a “Micro (pronounced mee-cro)” is a bus or a taxi. La Micro = this is what the local buses within a city are called. NOTE: You need to be careful because even though the word ends in ‘o’, it is a feminine word. Gladys, a belated happy birthday to you. I like to say “may all your dreams come true” but for you this year I kind of think maybe they have! I am so happy for you! Can’t wait to hear all the details! Dja, thanks for all the info about keeping David relative. I see your name on many sites in their comment area. YOU ROCK!!! I was at the Harkins Theaters here seeing a movie and guess what I heard just before the movie started…David’s voice came over loud and clear singing BROKEN. I was so excited I almost didn’t get my mom into her seat before I started shouting, “That’s David!”. I never hear him his voice here in AZ. 🙂 He sounded amazing on the theater sound system. Happy Belated Birthday Gladys and I’m so glad you will be attending David’s music devotional. If we can’t be there we are sure glad you will have the opportunity. Looking forward to your updates. The word micro is male. They are long-distance bus, are those who are in the bus terminal. They are the same car that I take to Rancagua. You should write: el micro, not la micro. SweetonDA #91 OMG, I’d have fallen down in the aisle if I heard that at my theater. Wow – so glad to hear his stuff is being played…anywhere! I guess it’s never too soon to start a Birthday card for David. This was linked by AFS on twitter. Click the pen at the top to sign. @dApVirata he is doing well. I hear from him weekly and every week I keep him updated on things you all are tweeting about and let him know he is missed and loved. Really enjoyed chat last night (as usual) — we continued celebrating the good fortune of our Gladys being able to attend David’s concert in Chile. She is still up in the clouds but came down long enough to make her flight reservation and will now book the hotel. Very good turnout in Unplugged but later there was only Gladys and me left — Abrra made sure to leave us with the Jakarta videos that we enjoy so much and then JR4DA dropped by. She wanted to add her congrats to Gladys and stayed to chat for a while — she is always “interesting” and that was fun. When Jakarta was over, the Bench mall vids started — JR’s — and we thanked her for the abundance of videos and pics she has shared with the fans. After JR left, it was time to call it a night/morning — after 3:00 for me and after 4:00 for Gladys — time well spent !! I am finally able to get in to make a comment ! Gladys am so happy for you,wish i could hide in your pocket and go with you, Have a wounderful time !!! Late to the party, but arrived! First, congrats Gladys! Your love shown through and they couldn’t resist it! Djafan, thanks so much for this post. I realized after reading it, a big change in my habits is listening to my copy of BEGIN. continually, instead of listening to random David things, continually, on youtube. I will rechange my ways! Thank you so much for all your hard work on David’s behalf and ours. As far as I know, chat is not recorded. But we usually get together for chat on Tuesdays too, for Nandito Ako, and Gladys may show up. Bebe usually puts an invitation up on the site on Tuesday evening with a link. Gladys is beyond excited! And we are so excited for her! Oh, and I forgot to say … thanks to all of you for explaining what the “micro” is. MT – Thanks, I’ll look in Tuesday! I tried to post a comment on Friday evening, but I was out of town and using my husband’s laptop and couldn’t get logged in for whatever reason. Anyway, thank you Dja for this vital info. 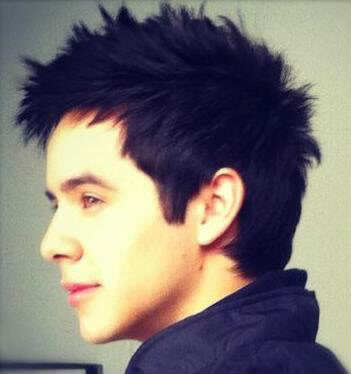 I need to re-group and do some David Archuleta ‘sight seeing’ on the web. 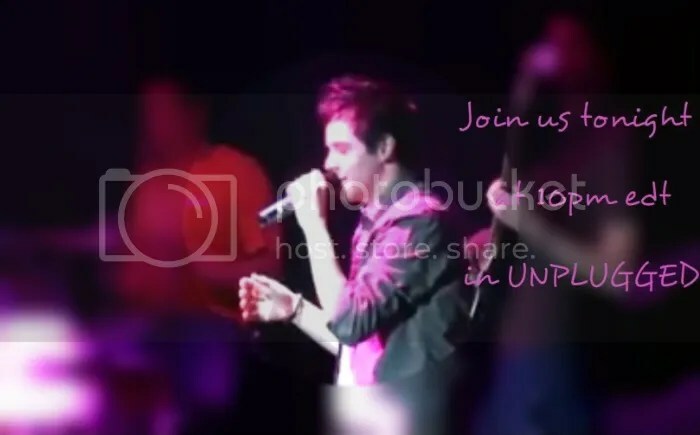 I look a little too happy :p “@mlpb3: @DavidArchie @jascurtissmith @jackryan4DA Pic from Archuleta Phils Fan Tribute! Thanks for your inquiry about replaying the chats. Unfortunately we don’t save the transcripts. Imagine the pages we’d have to go through if we did. Since Gladys is a frequent visitor of our chats., as MT suggested, please stop by any time we get together. Watch David’s eyes! For this scene alone he should win an award! Bebereader – Thanks for your reply. I’ll make sure to catch it next time!